What and how you need to study for your coding exam will depend on which exam you are taking. Your study needs also depend on your level of experience with medical coding and billing. If you have many years of experience, and are fairly knowledgeable about all aspects of medical billing and coding, you'll need to study less than if you're fresh out of college or vocational school. If you have no experience, consider taking more than one test. For example, a certification in medical office procedures as well as coding helps your potential employers see how qualified you are for a position. If you have many years of experience, you may want to take the specialist coding exam, to qualify for a promotion or higher rate of pay. For more information on which certification is right for you, see our article on getting your medical billing and coding certificate. After you've decided which exam to take, the best way to begin preparing for the test is to buy the specially designed study guide. Both the AAPC and AHIMA publish up-to-date study guides, each specially designed to help you study for your medical coding exam. These study guides are expensive, but worth the investment. Basic medical terminology and Anatomy: Passing your certification exam easily depends on your knowledge of the anatomy of the human body. If you purchase a study guide from your exam organization, it will have a quick review of these terms. You may have also already studied medical terminology and anatomy in your medical billing and coding classes. But don't get too worried! You won't need to know every medical term or body part. Try to focus on the major body systems, and the prefixes, suffixes, and root words of medical terminology. Basic Coding Skills: A large part of your exam depends on your basic coding ability. Because the certification exams are open-book, you won't need to memorize every single diagnosis, procedure, or HCPCS code. Passing your medical coding exam depends on your ability to identify, categorize, locate, and properly code the diagnoses and procedures given to you on the test. An additional part of basic coding knowledge is bundling of codes, global charges, and medical coding modifiers. Knowledge of these will greatly help you pass the test! Use Your Study Guide: No matter which test you take, it's imperative to buy the study guide. There are so many aspects to coding that you'd surely leave out something important if you didn't get the guide. Using the appropriate study guide also helps to make sure that you're studying accurate information. Make sure your study guide is up-to-date. You may think you're getting a good deal by buying your fellow classmate's study guide from last year, but this is one of the worst things you could do! Because codes and coding regulations change so often, it's crucial to have the study guide for your current coding year. Consider Taking a Review Course: It may be expensive, but if you don't feel fully prepared to take the exam, consider taking a review course. Many review courses are offered online through the AAPC and AHIMA. Some of these courses are also specifically designed to help you prepare for certain tests. 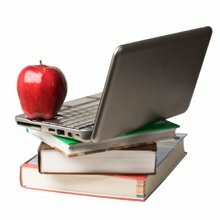 If an expensive online course is not a good option for you, try contacting your test proctor to see if he or she is in contact with a study group for the test. You may also enlist the help of your friends and family, if you study best with someone's help. Take the Practice Test: After you've finished all your studying, it's time to take the practice exam. You can purchase online practice exams through your certification organization. Your organization may also offer you multiple different tests, so you can choose to take more than one. These tests are graded immediately, so you will get immediate feedback on your performance. Once you've successfully completed your practice test, you are ready for the real thing. If you haven't done so already, it's time to register for the next exam and get certified! Medical billing and coding certification exams are all open book. There's no way you could possible remember all of the diagnosis, procedure, and supply codes, in addition to all of the complicated rules that govern how they are put together. One of the best tips for taking your certification exam is to be very familiar with your books. 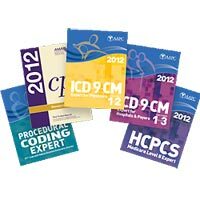 If you don't have them already, invest in the current-year CPT, ICD-9, and HCPCS Level II code manuals, as well as a good medical dictionary. These four books are generally always allowed during your coding certification exam, as they are imperative to your coding ability. You need to be as familiar with these books as possible before you take the medical coding exam. Certification exams are timed, so you don't want to waste all of your time looking for the right section in your coding manual! Don't stress! The worst thing you could do is get so nervous that you can't concentrate. The day before the test, check a map to make sure you know how to get to your exam site, and figure out how long it will take you to get there. Check the requirements of the testing facility. It tells you what you need to bring into the exam as well as what you're not allowed to bring. Lastly, get the phone number of your test proctor or testing facility, just in case you get lost or are running late. Following these tips will help you pass your medical coding exam with flying colors. Just make sure you prepare ahead of time and study hard. The tests may be open book but that doesn't mean they're easy... good luck! Is it worth it? We think so. Read about the benefits of becoming a certified medical billing and/or coding specialist. (SPONSORED LINK) Also learn about the latest available medical jobs in Los Angeles.